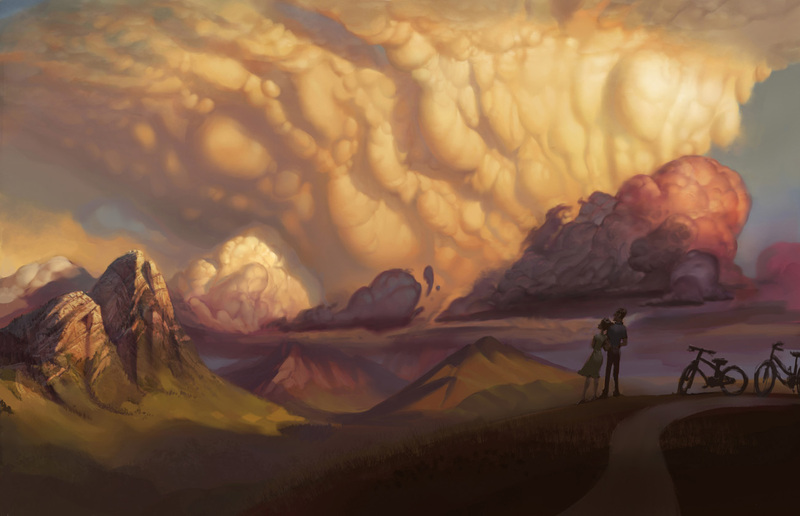 Something I did as a tutorial on clouds for my Schoolism class. I've spent a bit of time on it since then. WOW! This is AWESOME! Great job on the colors! I'm taking a wether class right now so this is great!! Is there any chance of seeing this tutorial ? I love this picture. And I loved that day. Matt: It's part of my Schoolism class, I might eventually put it into book form though (don't hold your breath for the book yet though, I have a lot of images to paint before I can finish it up). Ah - this is where it came from. Oh wow! I really liked this painting during the tutorial, but it's just terrific now. Are you considering doing any other classes on the Schoolism site? If you were, I'd sign up in a heartbeat.